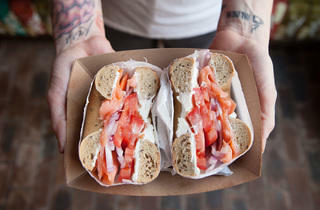 Photograph: Martha Williams Lox sandwich at Brobagel. 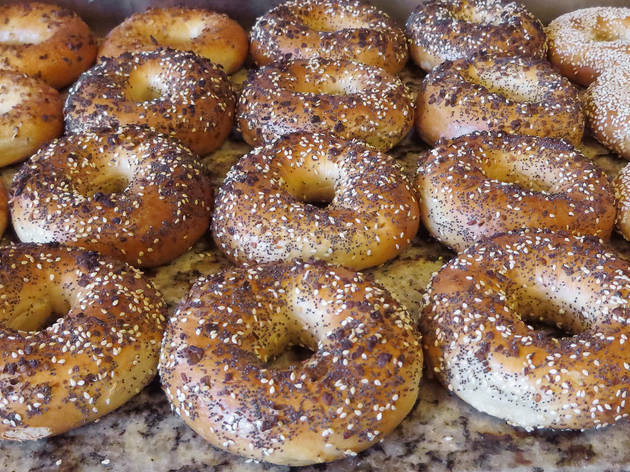 The best bagels in Chicago aren't at the ubiquitous chain spots, so to find an everything bagel, you'll need to look in unexpected places. That means hitting a BYOB pizza restaurant, a Top Chef–helmed diner and hopping in the car and driving to suburbs. 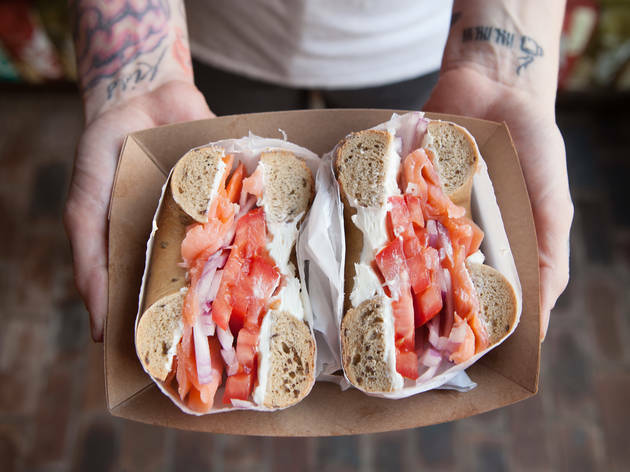 When you need some bagels and lox, head to one of these bagel shops. 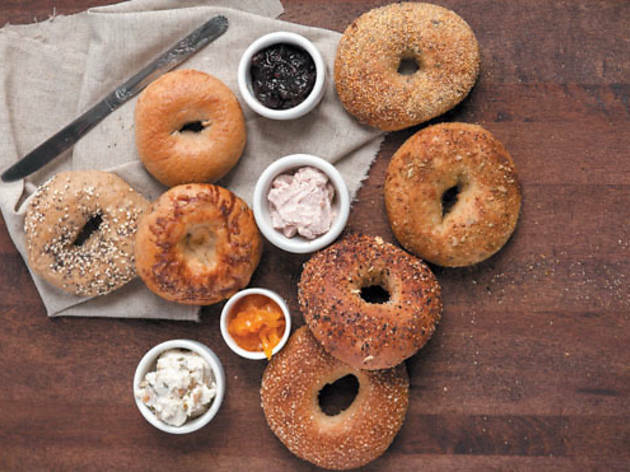 Primarily known for its pizza, Craft also offers New York–style bagels in flavors like everything, Parmesan and pretzel. 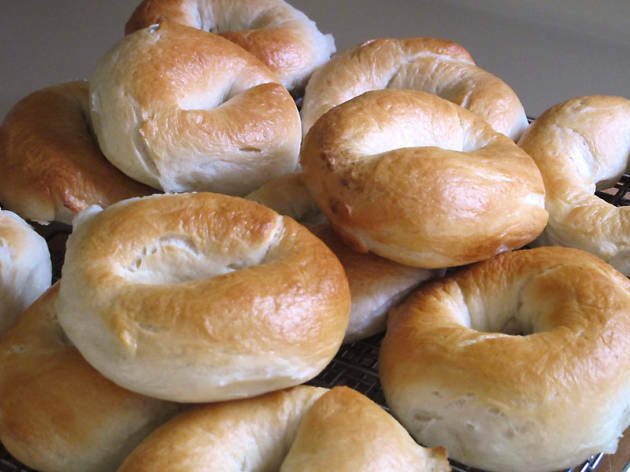 Get them with butter, plain cream cheese or flavored cream cheese like sundried tomato, or turn it into a bagel sandwich with ham, cheese and egg. After a fire forced it to close in 2011, this classic deli (which originally opened in 1955) has risen from its ashes. 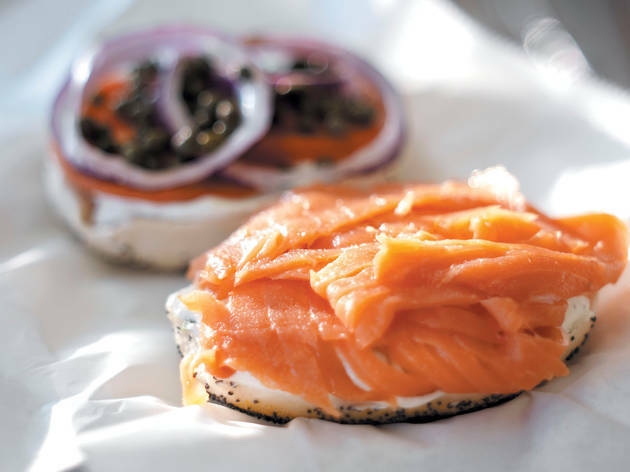 Traditional Jewish breads—bagels, rye bread—are Kaufman’s foundation and form the base for dozens of deli sandwiches, such as the New York Special (thinly sliced corned beef with chopped liver—ask for mustard, too). 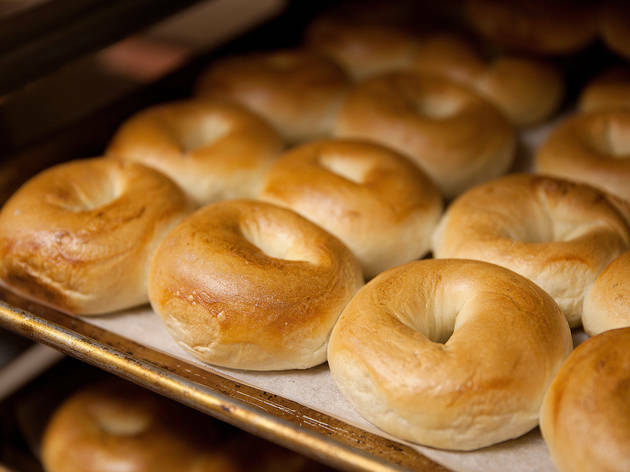 The success of owner Corey Kaplan's chain relies on its kettle-boiled bagels: They're just chewy enough, just dense enough and just sweet enough to give New Yorkers a run for their money. 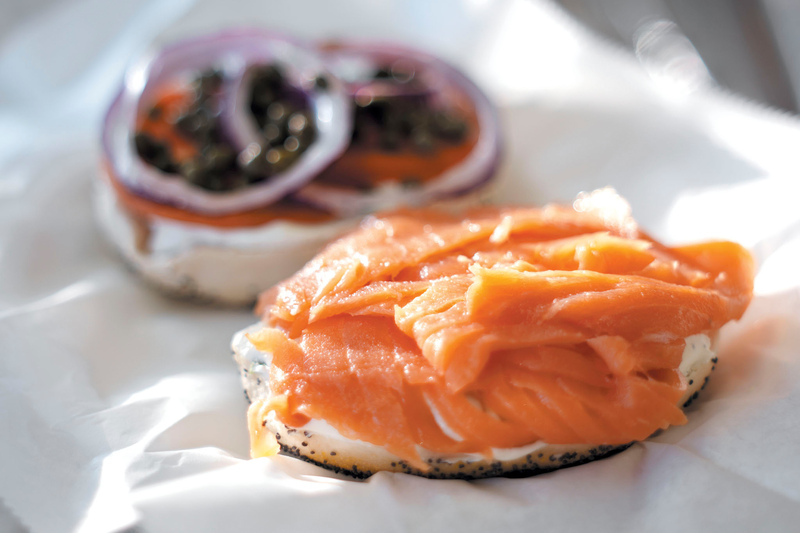 Get them as a bagel sandwich, such as the classic with Nova lox, capers, cucumbers, tomato and red onion. 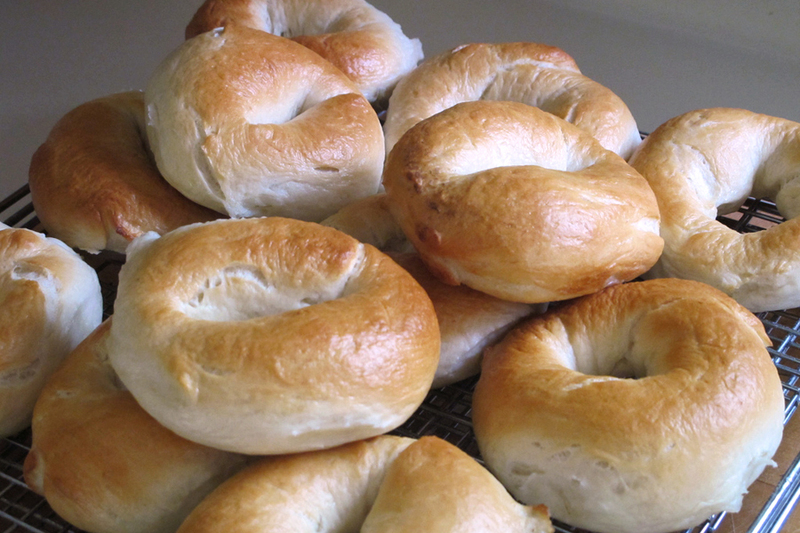 Little Goat's bagel recipe, modeled on a New York–style bagel (baked in a steam-injection oven) takes Stephanie Izard–ian license with flavors like Grumpy Goat, a fennel-seed-and-golden-raisin bagel sprinkled with Wisconsin goat cheese. 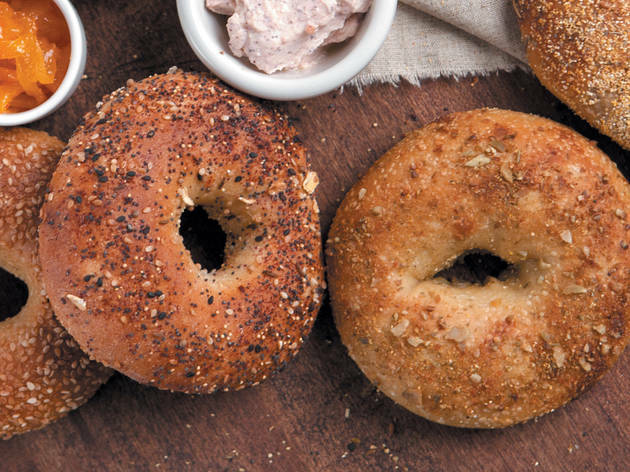 The bagels are accompanied by inspired spreads: Izard turned her green-bean side from Girl & the Goat into a green-bean-cashew-shallot-fish-sauce cream cheese. 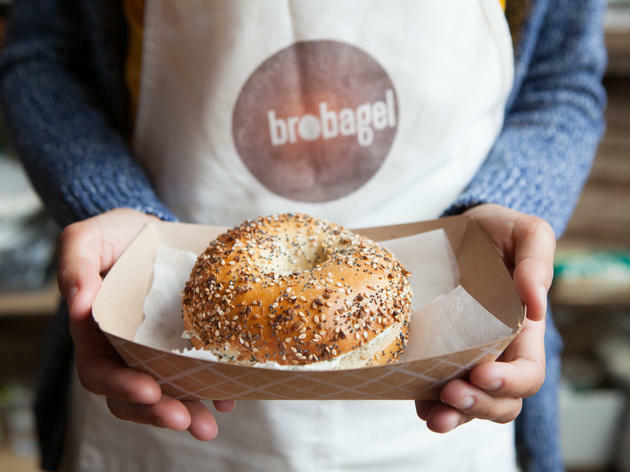 Located in a tiny space next to Piece Brewery & Pizzeria, Brobagel is a new venture from Piece owner Bill Jacobs, who ran a local chain of bagel shops, Jacobs Bros. Bagels, with his brothers in Chicago in the ‘80s and ‘90s, before selling it. 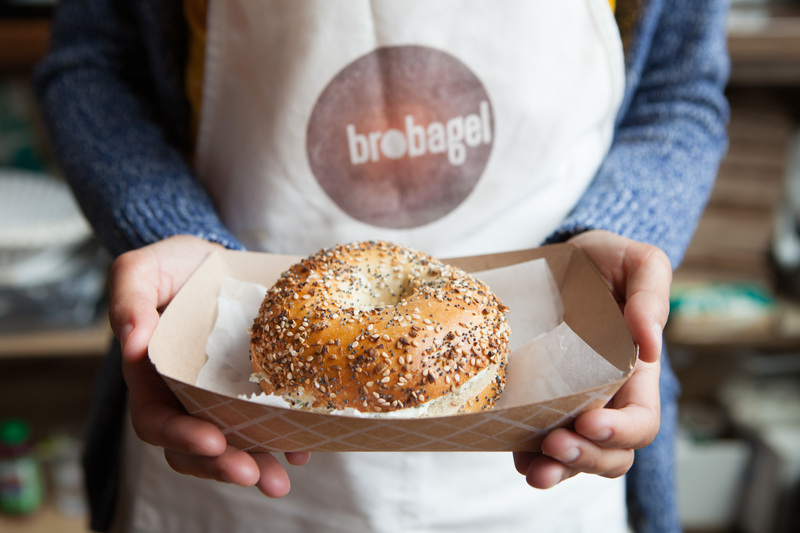 Now he’s back with Brobagel, which offers about a dozen kinds of bagels, 10 spreads, and a menu of breakfast and lunch sandwiches. 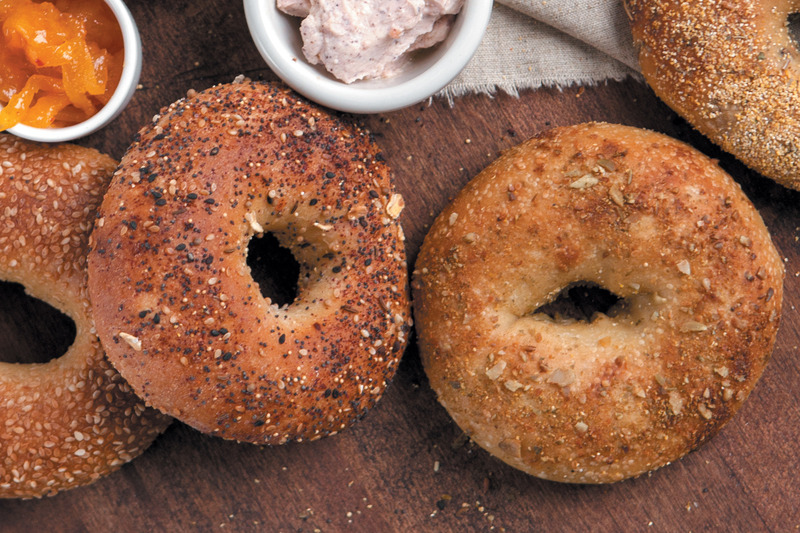 Try the spicy-sweet sriracha spread on the garlic bagel, which is studded with bits of garlic, and has a pleasantly chewy texture. 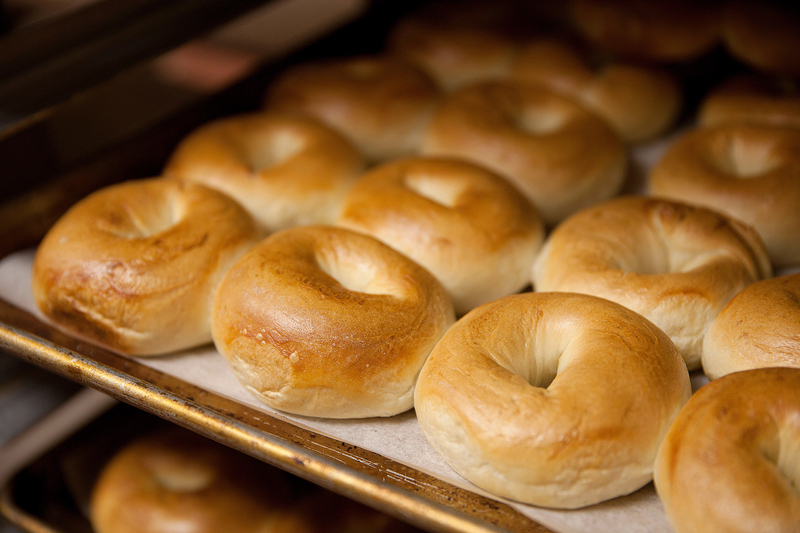 Reno offers Montreal-style bagels, which are wood-fired, smaller and slightly sweeter than their New York counterparts. At Reno, they come with an array of toppings, such as poppy seeds and olives. 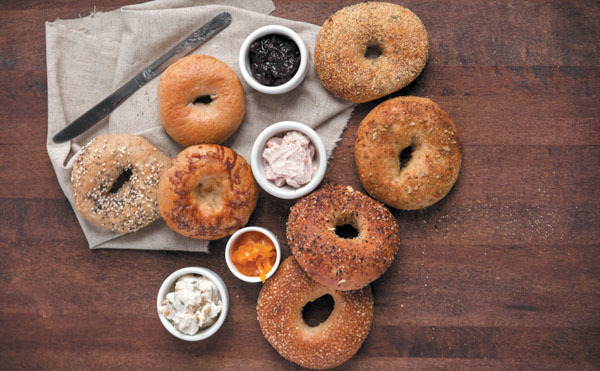 Top the bagels with seasonal “schmears” (e.g., sweet potato) and jams (such as mixed berry cranberry). 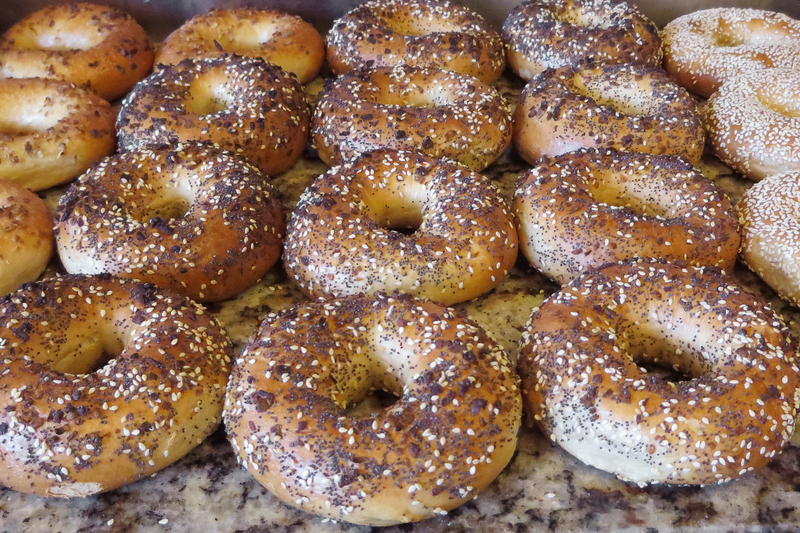 Don’t take our word for it—any Jew or New Yorker can tell you the best bagel in Chicago is not in Chicago. It’s in Lincolnwood, at a nondescript strip mall just off I-94. This place never closes, doesn’t have tables and, until recently, didn’t accept plastic. Which is why if you’re looking for us, we’ll be in our car in the parking lot, inhaling a bagel sandwich with Nova lox and clutching a bag of still-warm salt-and-poppy and sesame bagels for later.